When I first sat down to research spray-on frost ideas, I’ll admit I was secretly skeptical. What am I going to suggest we spray frost on? I thought. Our children? On the annoying cat? 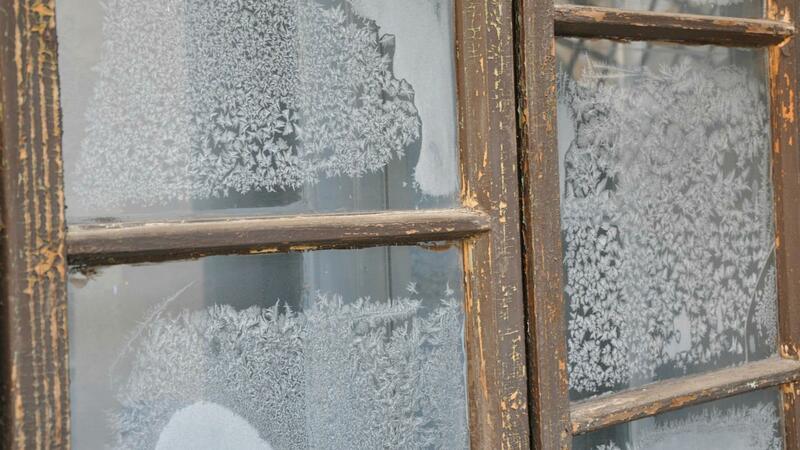 What decorative frost ideas could possibly exist, besides windows? Well, I’m delighted to report that I’m apparently an idiot, because ladies, these pictures prove that everything is better with a little frosting. 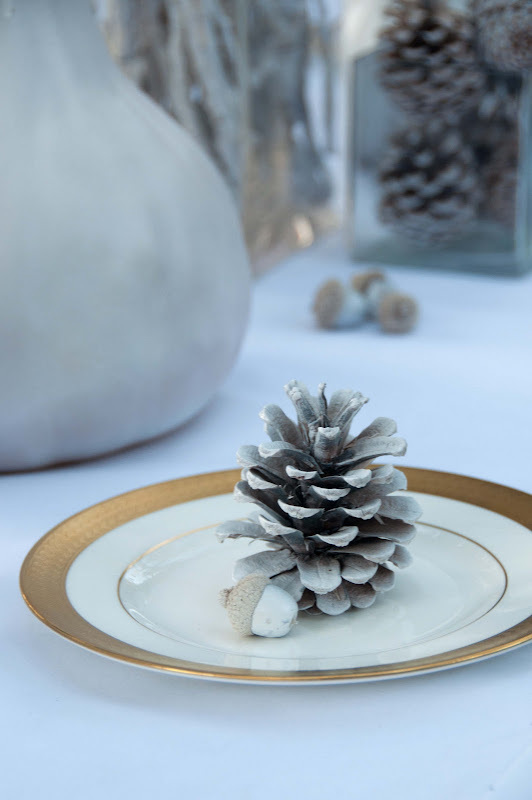 Imagine a beautiful centerpiece of lightly frosted pinecones and acorns for your snow-inspired holiday decor. The best feature of all? Pinecones and acorns are usually free, as long as you’re OK with a little scavenging. Rustle up a few Mason jars and a can of frosted glass paint, and you’re basically set for this project. Simply tape a stenciled star onto the Mason jar and spray away, but be sure to tie the top with a seasonal ribbon for a fresh look for Christmas. Homemade ornaments have a way of looking homemade, but not these minimalist beauties. 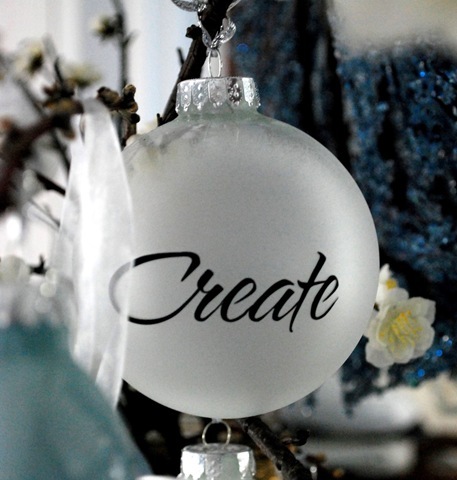 Nothing is simpler than spraying a quick design onto a clear glass ornament for an icy appeal to the Christmas tree. Nothing says the holidays quite like a path glowing from the light of luminarias. You can make your own for just pennies on the dollar, as long as you have access to soda bottles, tea lights and a bit of spray-on frost. Would you have ever guessed that expensive-looking frosted branches are easy breezy? Simply spray with paint for a light touch, or coat with adhesive and Epsom salt for branches that look like they’ve survived an ice storm. Holiday wreaths are old news, but not when they’re frosted, earthy and organic like this amazing update. We love that the design remains a little edgy with monochrome elements, even though it’s made from frosted branches and pine cones. OK, there’s nothing wrong with a little bit of spray frost on your windows for holiday cheer. If you’re tired of the look of fake snow, though, make sure you give it an update with a whimsical design like this one. It’s easy enough for the kids to play with — your only requirements are Epsom salt, glue and water.